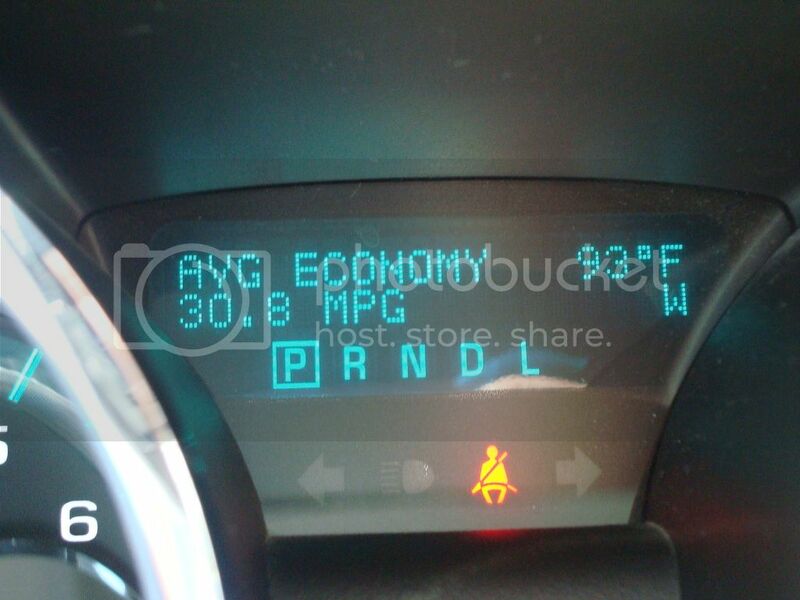 GMC Acadia Forum: AcadiaForum.net > General Discussions > Other Lambda Models > 32 MPG. New record in my Traverse. Got a new record in my Traverse. I hit 126,000 halfway through the trip. 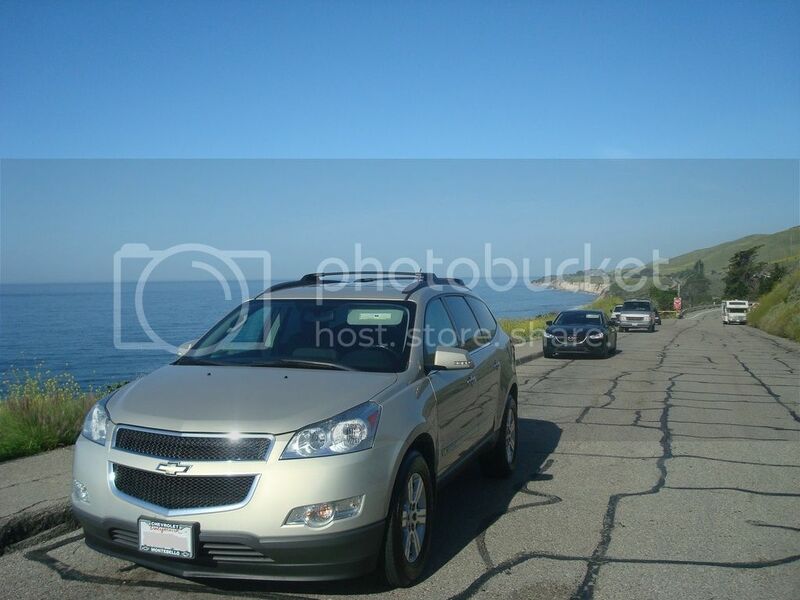 Drove from Los Angeles to Gaviota, CA. (Near Santa Barbara). Only I was on board. 32 MPG achieved after 140 miles of driving. 4.3 gal used to travel 140 miles. On the return trip, I stopped and had breakfast. Stopped at a gas station to clean the windshield. Stopped at the scenic view stop. then hit heavy traffic in Woodland Hills. Once back in my neighborhood I headed to the same gas station/same pump and refueled. 9.5 gal for the roundtrip. This comes out to 31.1 Hand Calc Round trip. Very light traffic early in the morning along the California Coast. That red semi was ahead of me for some time..... no problem staying at 55-60. The West Coast. Scenic Overlook. I had not seen this in in many may years. Ive taken many road trips up the California Coast and had only seen brown for years. looks like green--- but theres lots of yellow flowers. Re: 32 MPG. New record in my Traverse. That was some trip and always nice to see pictures. It is hard for me to keep it under 75 on any interstate. I haven't checked the MPG on ours for at least 1+ years. Maybe I will check going to AL in June, with over night in Metropolis, IL. Really nice mpg r.....for a GRANNIE driver, BUT a SAFE driver at that. RB, have you ever tried to draft behind a semi and see what your mpgs would be. When we lived in FL coming home from work I would get on 27 and get behind one in my 98 Malibu and just feel it being sucked along. Scary as all get out but for a short stretch cool. I always leave space so that I can see whats going on ahead of the semis. 3 second rule- minimum when vehicles merge etc.